Have you Goat a Flavia? It is almost impossible to miss that Meghan Markle the Duchess of Sussex, wore a dress called “Flavia” by Goat, to her first Royal engagement since the wedding. Obviously Meghan looked absolutely stunning, as I am sure she will in just about anything she wears. By the time this Blog is published, I have no doubt that just about every woman in the county will want a dress by Goat! In fact whatever Meghan wears, eats, drinks or drives in the future, will become a must have! If only we could get Meghan to drink a Flavia Coffee, to go with her new Flavia Dress, it would make it an instant success! When I say instant, that would not be quite correct! Because not only are all Flavia coffees made from freshly ground beans, it has been successful for many years. However Royal approval would be most welcome! 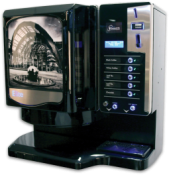 The Flavia single serve hot drinks system, has been serving great coffee and real leaf tea for decades. 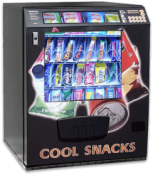 Manufactured by Mars Drinks, and supplied in the UK by KSV Vending. 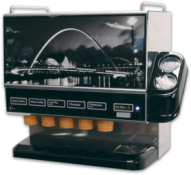 We are hoping Meghan enjoys a delicious hot drink from a Flavia coffee machine soon! 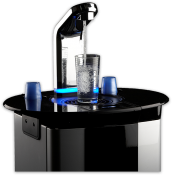 There is however no need to wait for Royal approval! 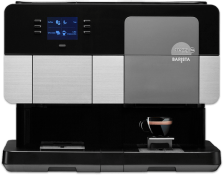 You can enjoy Tea, coffee, cappuccino, espresso, hot chocolate and more… at any time, with a Flavia machine from KSV. Great coffee available to everyone!